We are excited to bring you a whole new lineup of inspiring and amazing speakers for ClimaCon 2017! Check out this incredible array of climate superstars! George Marshall is Director of Projects at Climate Outreach and has 25 years experience working across the environmental spectrum – from local community groups to senior positions in Greenpeace and the Rainforest Foundation to consultancy work for governments and businesses. George writes widely on climate change issues including articles for The New Statesman, The Guardian, New Scientist and The Ecologist. He has written two books: Carbon Detox (Hamlyn Gaia, 2010) which addresses personal behaviour, and Don’t Even Think About It: Why Our Brains Are Wired To Ignore Climate Change (Bloomsbury US, 2014), written for a general public audience on the psychology of climate change. Indigenous Climate Action welcomed Eriel Tchekwie Deranger as the organization's first Executive Director in August 2017. Deranger was a founding member of Indigenous Climate Action (ICA) and spent two years in the role of interim director, helping to build the strategic direction of the organization. A member of the Athabasca Chipewyan First Nation (ACFN), Deranger has a far reaching reputation for challenging fossil fuel development and championing the implementation of the United Nations Declaration on the Rights of Indigenous Peoples. Eriel has an extensive experience working within the Environmental Justice and Indigenous Rights field with organizations like the Indigenous Environmental Network (IEN), Rainforest Action Network (RAN), Federation of Saskatchewan Indian Nations (FSIN), and with her home Nation the ACFN. She is also a wife and mother of two. Former Director General of Bioversity International (Rome), Dr. Frison has held very senior positions in the donor, researcher, and practitioner communities in the international agricultural and food security sector, including: Bioversity International in Rome; the International Institute for Tropical Agriculture (IITA) in Nigeria; the governing bodies of the CGIAR system (Consultative Group on Int’l Ag Research); of Eco-Agriculture Partners; and of the Global Crop Diversity Trust, stewards of the Svalbard Global Seed Bank. Dr. Frison is author and co-author of over 150 scientific publications and is a member of several scientific societies. Most recently, he’s one of the lead authors of an important report for the International Panel of Experts on Sustainable Food Systems (www.ipes-food.org), entitled 'From Uniformity to Diversity' that outlines a rationale and path for a transition to multi-functional, diversified agroecological systems. Hannah McKinnon is a senior campaign advisor working on Oil Change International’s private finance campaign. She has worked on climate change and energy issues for over a decade, with experience ranging from national and international climate policy and advocacy in Canada with Climate Action Network and Environmental Defence Canada, to climate adaptation and risk management in Central America. She has an M.Sc. from the London School of Economics and Political Science and a B.Sc. Hons. in Biochemistry from Mount Allison University, and studied at Lester B. Pearson United World College. Hannah is currently living in Freiburg, Germany. Follow her on Twitter: @mckinnon_hannah. 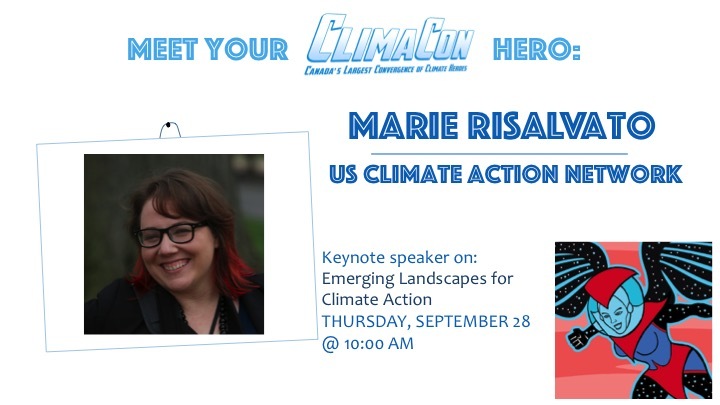 Marie is currently Network Engagement Director at USCAN. For the past five years, Marie worked as the Communications Director, improving the Network's online resources, expanding its social media presence, and building out other communications' infrastructure and processes. Whether it was engaging in the United Nation's Framework Convention on Climate Change or jumping in to help with the People's Climate Movement, Marie has both learned from and contributed a great deal by collaborating with others on different Network issue areas. Before joining USCAN, Marie worked for several online businesses improving their online presence and managing other administrative aspects of business. Marie received a B.A. in Political Science from the University of Florida with an emphasis on sustainability. Her passion for environmental justice and determination to work towards a sustainable future led her to move from her home state of Florida to Washington, D.C. in 2010. Anjali is Communications & Engagement specialist at West Coast Environmental Law. Her background as a storyteller, communicator and campaigner with international climate justice groups brought her home to BC to join West Coast and serve the critical moment in this political context. Anjali has specialized on the intersection of international climate policy/law (mostly in the UN forum) and social movements. She has also organized within the international youth climate justice movement. She co-founded the organization Earth in Brackets which aims to translate political processes to civil society. Anjali currently also organizes with the Global Campaign to Demand Climate Justice, an international network of peoples' movements around the world taking action on energy. She is also co-founder of the very nascent online political platform Tipping Point Collective. 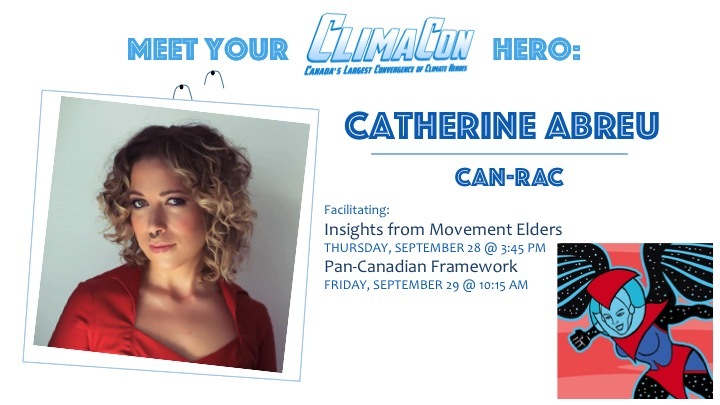 Catherine is one of Canada’s foremost sustainable energy campaigners. As the Executive Director of Climate Action Network - Réseau action climat Canada, she advances policies that work to ensure Canada contributes its fair share to preventing the worst impacts of climate change. She is the former Energy Campaign Coordinator of the Ecology Action Centre. Catherine is committed to work that confronts climate change head-on, wielding bold and creative strategies. She is a dedicated collaborator, having founded six community-based coalitions working in climate action and the arts. She thinks a lot about citizenship, community, and beauty, and does her best to incorporate these values into each of her endeavours. CAN-Rac brings environmental NGOs together with trade unions, First Nations, social justice, health and youth organizations, faith groups and local, grassroots initiatives. CAN-Rac provides a space where, side-by-side, Canadians who care about climate change can establish common goals and, in speaking with a unified voice, ensure federal-provincial climate ambition at the scale science requires. Angela Bischoff has worked exclusively on the green beat with the NGO community since 1987, always on the front lines rallying the troops. From bikes to nukes to mental health to elections, her range of experience is broad. As Outreach Director with the Ontario Clean Air Alliance, her target is a nuclear power phase-out. Louise is Director of the Environment and Sustainable Development Research Centre (ESDRC) at the University of New Brunswick. She brings a wealth of experience to the ESCRC in moving the ball forward on climate change. She gets things done because policy proposals, communication strategies and education campaigns are based on solid research, as well as collaboration with national and international networks. Louise lives in Keswick Ridge with her partner Tom where they homestead and engage with students through site visits and teaching and research at the University of New Brunswick. 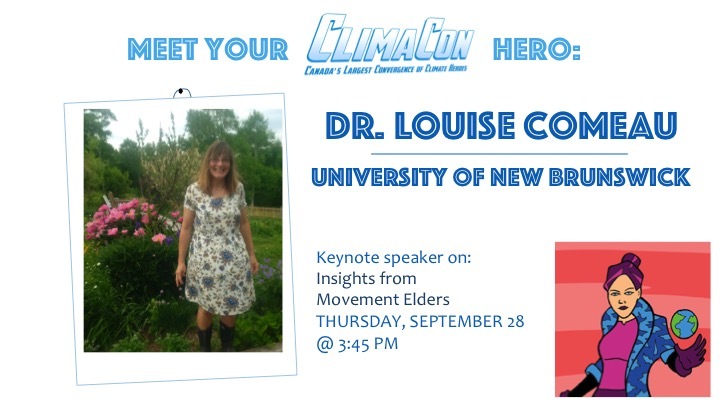 Louise completed a PhD in Environmental Management at the University of New Brunswick (UNB) in Fredericton in 2014 where she is also an Honorary Research Associate. Her research explored the environmental ethics associated with environmental practices. She completed her master’s in environmental education and communication at Royal Roads University in 2008. Judy Da Silva is a mother of 5 children and this is what causes her the positive energy to continue to look for justice for the solution of the mercury poisoning of their River system in grassy narrows. She recently was awarded the Michael Sattler Peace Prize in Germany in recognition of her lifelong work to advocate for her community members for environmental protection but in a peaceful nonviolent direct action. 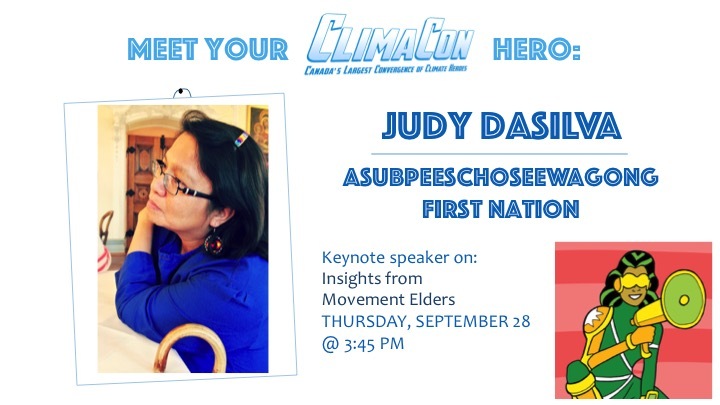 Judy lives in Grassy Narrows and suffers from the effects of mercury poisoning in a mild form. She works in the Government office of her community and is also a daycare administrator of 19 years. 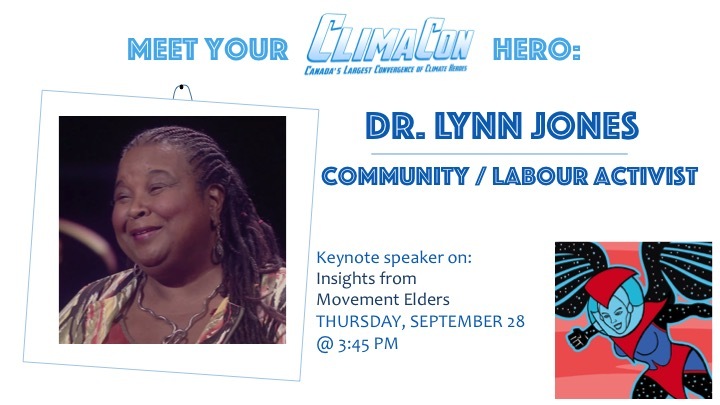 Dr Lynn Jones is a a community and labour activist who grew up in Truro, Nova Scotia. From the time she was a child, she struggled against racism and segregation. She protested against the Vietnam and Nigerian Biafra War in university, and advocated for better access to post-secondary education for Black and Aboriginal students. Jones became a strong labour activist with the Public Service Alliance of Canada, and then became the first woman of colour to be elected Vice President of the Canadian Labour Congress. Throughout her life, Lynn has been active in the pursuit of justice, working tireless for many causes and organizations that seek to eradicate racism, secure human rights, and achieve fair labour practices.She has been active in the environmental racism and justice movement and helped craft the first environmental racism bill in Canada. In 2016 she was awarded an Honorary Doctorate of Humanities degree from Acadia University. Bilan Arte is a black, muslim, feminist activist residing in unceded, unsurrendered Algonquin Territory (Ottawa) on Turtle Island. She brings over 5 years of experience in community organizing to her roles Communications Lead for The Leap. She is driven by her passions for social justice, equity and building people power. B.Sc. Mathematics, McGill University, 1972. Climate Reality leader trained by Al Gore in San Francisco in 2012, member of Citizens Climate Lobby since 2012, member of 4RG National Steering Committee since 2009, Founder and Chair of the Peterborough Chapter of For Our Grandchildren, member of the Kawartha Loon Exchange Board of Governors, Founder of Peterborough Leap Manifesto local chapter, participant in Peterborough Climate Change Action Plan Task Force. Guy has spoken many times on the topic of Climate change including as the warm up act for David Suzuki at the November 29, 2015 March for Climate Solutions in Ottawa before a crowd of 25,000. Charlotte Kiddell is the Deputy Chairperson of the Canadian Federation of Students. The Federation is Canada’s largest and oldest national student organization, representing 650, 000 students from coast to coast. Charlotte hails from Toronto and attended Mount Saint Vincent University in Halifax, Nova Scotia, where she got her start in the student movement organizing against sexualized violence on campus. Previously, Charlotte has served terms as Women’s Representative and Chairperson of the Canadian Federation of Students-Nova Scotia. Charlotte is passionate about the fight for education justice and universal access to post-secondary education. To decompress, Charlotte likes to take baths, eat ramen noodles, and go dancing with her friends. Christie Neufeldt is the Program Coordinator – Public Witness – Advocacy & Campaigns for the United Church of Canada. She has worked at the General Council (National Office) for 16 years. In this role she coordinates the churches advocacy with the federal government and its campaigns on a range of social justice issues including climate justice, mining justice and Palestine and Israel. She is passionate about increasing public engagement in effective advocacy strategies for social change. Katie Perfitt grew up in the Ottawa Valley, but cut her teeth in community organizing during her time living in Nova Scotia where she was involved with her campus divestment campaign, Divest Dal, and the successful grassroots movement to ban fracking in the province. Katie went on to join the Canadian Youth Delegation to COP20 in Lima and COP21 Paris, and helped to organize PowerShift Atlantic, a conference organized by young people exploring issues and learning skills for climate, environmental and social justice. Today she works as the Canada Divestment Organizer with 350.org - a global organization working for clite justice - where she supports fossil fuel divestment campaigns across the country that are challenging the social license of the fossil fuel industry. Katie believes that young people - following the leadership of frontline and Indigenous communities - are pushing the dial on conversations around climate, environmental, and social justice in Canada and around the world. Thane Robyn is a trans guy of colour, who is originally from South Africa. He has lived and learnt in many different places, from Africa to Central Asia and now Canada, and because of this Thane values community. The kind of community that can only be created by sharing a meal with folks, or working together towards a common goal. Thane believes that it is community like this that gives us the ability to bring about change. He is passionate about media creation and is rarely seen without a camera. He has been documenting and discussing trans issues on his youtube channel, working on his own media startup and collaborating with other artists on projects. 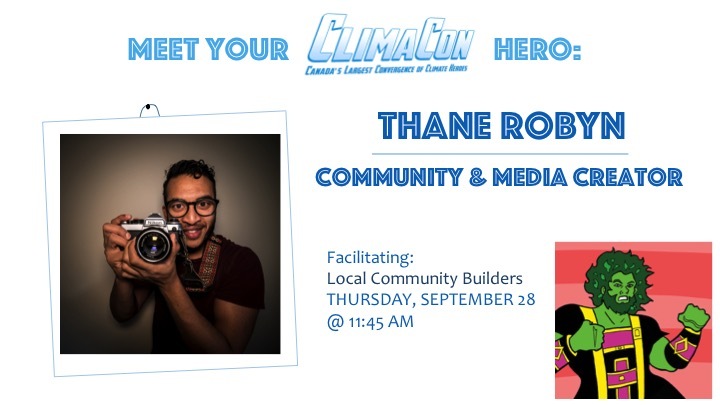 In the past couple years Thane has been working on a documentary that shares the stories of youth across this country who are invested in social and environmental change. Through this he has worked to run media and film making workshop series with marginalized youth in Ontario. He is focused on actively challenging systemic oppression by creating radical and accessible opportunities that support individuals in telling their own story. Jody Chan is a writer and environmental justice organizer based in Toronto, in the unceded, unsurrendered lands of the Anishinaabe and Haudenosaunee Peoples. She is the Organizing Coordinator for The Leap, and the co-founder of Alliance for a Just Toronto, a collective of youth, artists, and organizers from communities of colour working towards environmental justice in Toronto. Matthew joined Climate Reality Project Canada as national campaign coordinator in 2016 after cofounding the Montreal Climate Coalition and securing an award-winning public consultation on reducing fossil fuel dependence. His experience in the fields of fine arts, education and international business have shaped his understanding of the challenges and opportunities our society and civilisation face. Climate Reality's ClimateHub.ca initiative reflects his conviction that citizens and communities must be at the centre of climate solutions for those solutions to be feasible, equitable & sustainable in the long-run. Valine was kick-started into community organizing when a mega-oil export project threatened her homelands. She has a Master’s degree in anthropology – her thesis analyzed the diverse alliances formed in opposition to Enbridge’s Northern Gateway. The opposition, she found, is largely motivated by a deep sense of place and strong connection to Haida Gwaii. Valine served as the research writer for her government, the Council of the Haida Nation, for three years and has worked in research and community outreach with environmental organizations throughout Northern BC since 2013. 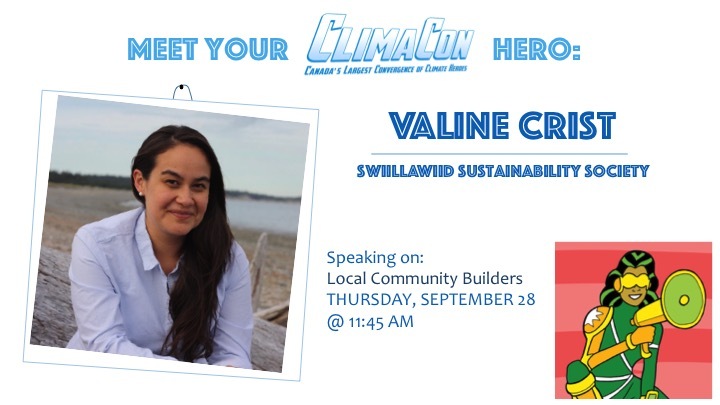 The recent-founder and current director with Swiillawiid Sustainability Society – a local not-for-profit committed to embracing the energy shift – Valine is devoted to a swift transition to clean power on Haida Gwaii. She does her strategizing on the beach and finds her inspiration in the forest. Brent R. Kopperson is the founder and Executive Director of Windfall Ecology Centre, a non profit social enterprise dedicated to building sustainable communities. The creation of Windfall was inspired by a vision of healthy communities, where economic, social, and environmental needs achieve balance through social innovation, community partnership, and community action. Brent is a founding Director and former Chair of the Community Power Fund, which provides financial support to communities working to build renewable energy projects, as well as a founding director of the Ontario Sustainable Energy Association (OSEA), a founding director of the Canadian Renewable Energy Alliance, past director of the World Wind Energy Association, and the former Chair of Green Communities Canada. He is a keen observer and participant in the Kyoto process and served for 3 years as an NGO adviser to the Canadian government at United Nations Kyoto Protocol treaty negotiations. Erica Violet Lee is a Cree writer from Saskatoon and a MA student at OISE, University of Toronto. She is an organizer with Idle No More, and she was part of the 2015 Canadian Youth Delegation to the UN COP 21 climate conference, where she stuck her tongue out at Brad Wall. Her work explores Indigenous futures beyond survival and the liberatory knowledges of the prairies and the inner city. She blogs about Indigenous Feminisms and gaming the academy at moontimewarrior.com. April became the Executive Director of PPP in 2009. Since then, she has overseen multi-year Canadian International Development Agency (CIDA) funded projects for civil society conflict transformation in Manokwari, West Papua. These included the development of women’s networks and cooperatives. April has also assisted in the development of communications strategies along the Sepik River Region of Papua New Guinea and helped produce and host three major Pacific conferences. April has also succeeded in creating public engagement programs that connect the Indigenous peoples of Canada and the South Pacific while opening space for all who care about Pacific concerns. April is currently a Director of the Canada Council for International Development, an Advisor to the School of Technology and Education for Royal Roads University, and is active in a number of organizations including the British Columbia Council for International Cooperation (BCICC) and Media-Net. She boasts an impressive career and record of service within the non-profit sector, most notably with the First Peoples’ Cultural Foundation, public art galleries, the BC Arts Council, and the BC Museums Association. Throughout her career, April has successfully managed complex projects in a cross-cultural and multi-stakeholder context. Prior to joining PPP, she worked for three years as Production Manager for the nationally broadcast Indigenous arts and culture television show “The New Canoe”. She is also credited as part of the development team for the web-based Indigenous language archiving system First Voices. Sean Kelly has extensive experience in communications, writing, film & radio, public relations and social marketing. 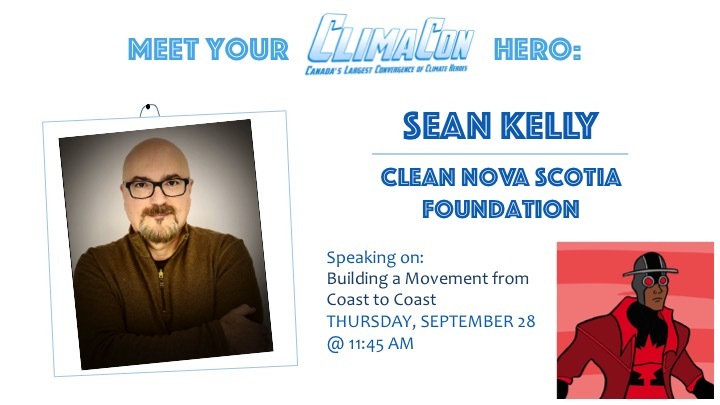 He has worked for groups including Cuso International, the Lester Pearson Institute and the Community Sector Council of Nova Scotia, and is currently the Managing Coordinator of Communications & Marketing for Clean Foundation. Sean has spent over 25 years working and volunteering in the non-profit sector. He was also the editor of The Sustainable Times, a magazine on environment and development issues sold at newsstands across Canada. Ben has been an outspoken environmental campaigner for over a decade. He has worked on some of the biggest environmental issues in the province of BC and has been an outspoken voice in the media. He is a writer, runner, vlogger, juggler, animal lover and street art addict. He says he would rather be doing comedy if there wasn’t so much serious stuff going on. Recently his focus has been working on climate solutions in partnership with First Nations and community groups around the Salish Sea. He is also the co-founder the Great Climate Race, which uses walking and running activities to raise money for renewable energy demonstration projects. 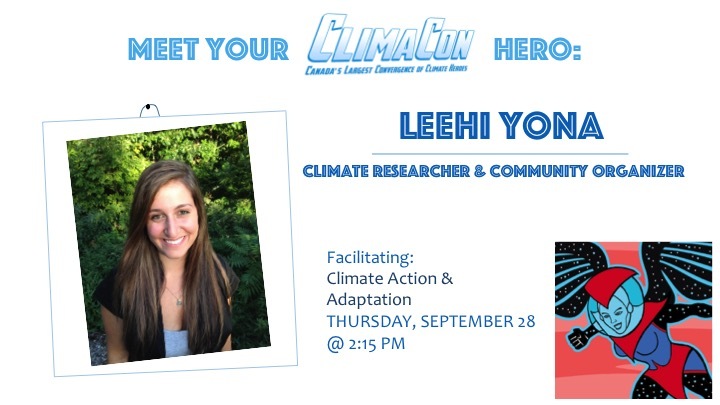 Leehi Yona is a climate justice community organizer and climate scientist. She is currently pursuing a Master’s in Environmental Science at the Yale School of Forestry and Environmental Studies, where she is researching the Intergovernmental Panel on Climate Change’s greenhouse gas inventory guidelines and how the Canadian and British Columbia governments report their emissions. Leehi has been involved in youth climate justice campaigns, mainly local fossil fuel infrastructure and divestment campaigns and the United Nations climate change negotiations. She is a writer and has published two books for young climate organizers as part of her scholar activist work (you can read them here and here). Leehi is a recipient of the Lieutenant Governor of Quebec’s Youth Medal and was named Canada’s Top Environmentalist Under 25. Christey is a Climate Change Specialist in the Territorial Planning Unit of Grand Council Treaty #3. She works with the First Nations communities of the Treaty #3 Territory on climate action initiatives, with a strong belief that all actions should be community-led. Even though she has a Masters in Sustainable Energy Development from the University of Calgary, Christey’s work with grassroots environmental organizations has molded her belief that climate action comes in many shapes and sizes. She aims to highlight that in addition to the environmental and climate benefits, these initiatives have numerous social, cultural and local economic benefits that create sustainable and resilient communities. Patrick is the Climate & Energy Program Manager for Environmental Defence and leads a national campaign to stop the proposed Energy East pipeline. He also works on energy regulatory reform and federal climate policy, and conducts research on the changing economics of the tar sands. In his previous role at Environmental Defence, Patrick helped build public support for Ontario’s cap-and-trade program and climate change action plan. He was born in the Niagara Region and grew up enjoying its many parks, beaches and conservation areas. Patrick now lives in Toronto and enjoys cycling, hockey, and camping. 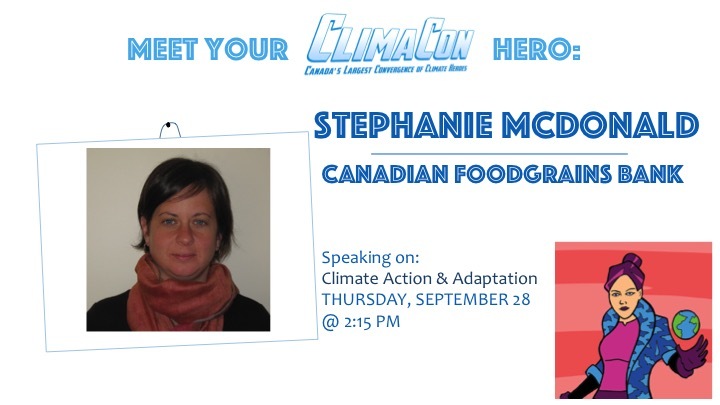 Stephanie McDonald is the Senior Policy Advisor at the Canadian Foodgrains Bank, focusing on the climate change file. McDonald has several years of policy and research experience, including time as an intern for the Presbyterian Church of Canada in Malawi, a communications consultant with Twaweza in Tanzania, and several years in Nunavut as a research advisor, communications manager and reporter. Most recently, McDonald has been living in Tanzania while working as the results and accountability manager with the Ministry of Foreign Affairs of Finland. She holds a Master of Science in public health from the London School of Hygiene and Tropical Medicine, and a Bachelor’s degree in international development and Canadian Studies from Trent University. I completed my undergraduate degree (biology) at Lakehead University in Thunder Bay before moving to Ottawa where I did my MSc (geography) at Carleton University and am now enrolled in the Geography PhD program. I enjoy running and hiking and trained for many years for cross-country ski racing. 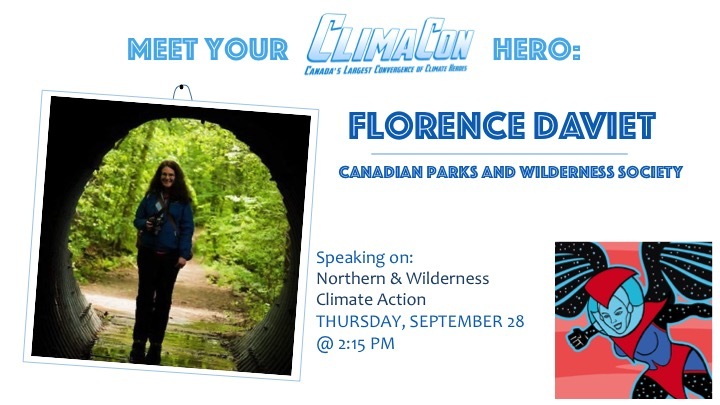 Florence has been the National Director of the CPAWS Forest Program since 2014. 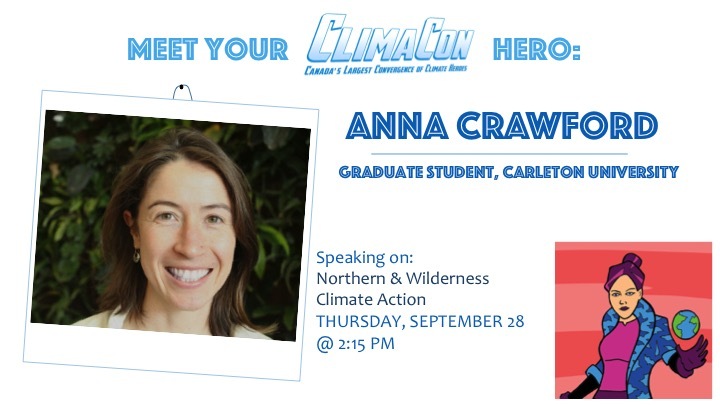 Her projects at CPAWS focus on the species at risk act, climate change policy, and forest management standards. She has a Masters from John Hopkins School of Advanced International Relations focused on international environmental issues, and has been working on international and national forest and climate policy questions since 2006. Before joining CPAWS Florence produced key inputs for the Western Climate Initiative, the California Climate Action Registry, the Regional Greenhouse Gas Initiative and the Canadian government on forest carbon programs. Florence also managed a project working with 9 NGO partners in Brazil, Indonesia, and Cameroon where she worked with them in designing and implementing programs aimed at reducing deforestation and forest degradation, improving forest governance, and indigenous people’s rights in each country. 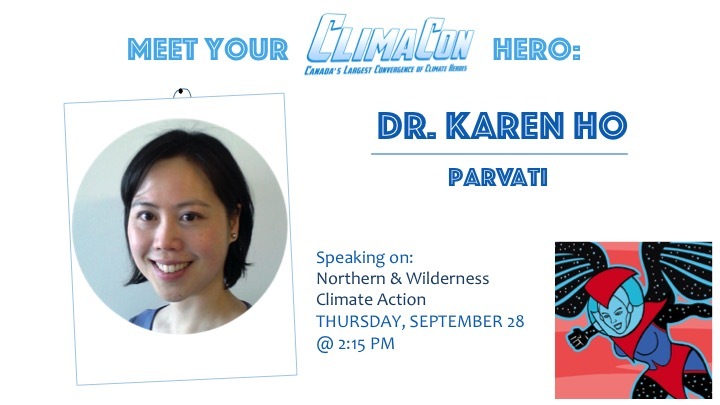 Dr. Karen Ho is the Director of Outreach for. Parvati.org. She is a medical doctor with a strong interest in global health and the environment. She is a member of the Canadian Association of Physicians for the Environment, and previously, a member of the Centre for Responsible Leadership at Queen's University. She recently took part in a delegation to the United Nations General Assembly in New York City to promote the Marine Arctic Peace Sanctuary (MAPS). 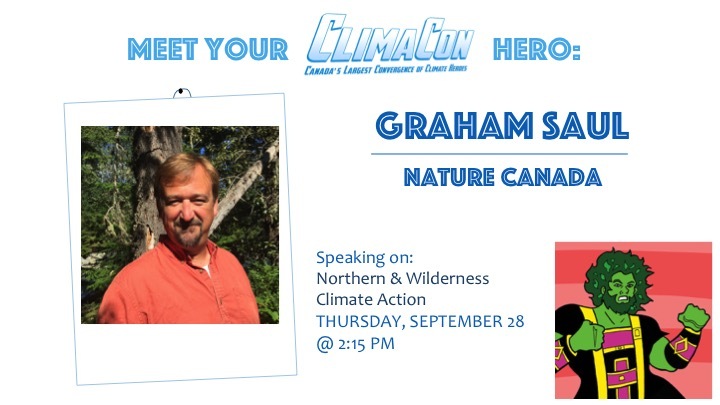 Graham Saul is the Executive Director for Nature Canada, the oldest national nature conservation charity in Canada. Graham is also one of the founding members of Ecology Ottawa. 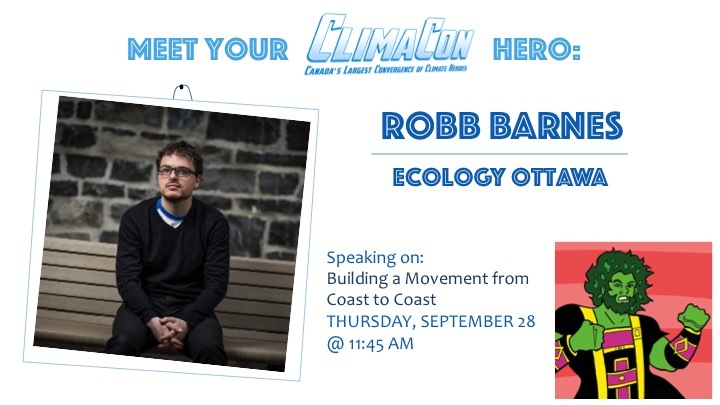 He was formerly the Executive Director for Climate Action Network Canada – Réseau action climat Canada. Graham has more than twenty years of experience working on social and environmental justice issues. He has worked for organizations such as the South African Institute for International Affairs, Oxfam International in Maputo, Mozambique, and at the Washington, D.C.–based Bank Information Center. In the past, Graham also served as the international program director for Friends of the Earth Canada and Oil Change International. Dr. Monika Dutt has been a Medical Officer of Health in Nova Scotia, northern Saskatchewan and Ontario. She has worked in health policy at the federal level and is the Executive Director of Upstream..
Peter actively participates in a number of collaborative efforts related to understanding the impacts of climate change on health and supporting the development of effective adaptation measures. Most recently he coauthored climate change and health assessment guidelines released by the Ministry of Health and Long-term Care in Ontario and also similar guidelines tailored for small island developing states in the Caribbean that are forthcoming. He currently provides expert input to the Global Water Futures Initiative in matters related to climate change and health and is a lead for the next National Climate Change and Health Technical Assessment Report to be released in 2021. Peter is currently serving on the Federal Secretariat of the Expert Panel on Climate Change Adaptation and Resiliency Results and is also an assistant adjunct professor with the Interdisciplinary Centre for Climate Change at the University of Waterloo. 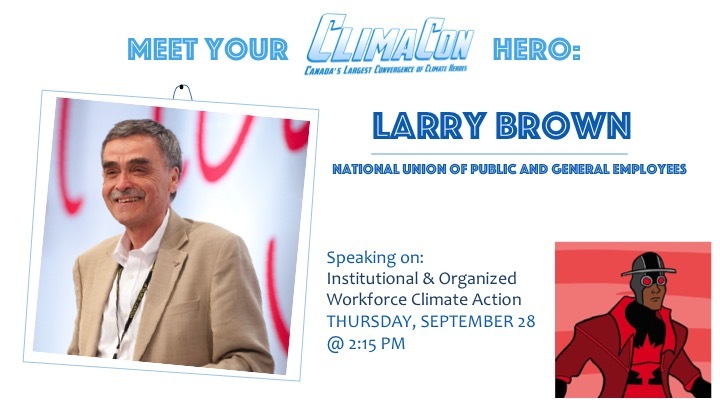 With degrees in political science and law, Larry Brown has been President of one of Canada's largest unions, the National Union of Public and General Employees, since 2016. He is also the President of the Canadian Centre for Policy Alternatives, Canada's leading progressive research and policy organization. For many years, he chaired the Public Sector Working Group of the 10 million strong Public Services International (PSI). He has also taught as a sessional lecturer at Carleton University, teaching in the Masters of Public Administration program. He has written and spoken extensively about public finances, debt and deficit issues, the changes in federal-provincial financing, public sector restructuring and the resulting changes in the economic and political structures of Canada that have occurred in the last decade. Brown chairs the National Union's Pensions Committee where he is leading the push to expand the control by unions of their members' pension funds, and of the use of those funds to better the condition of workers through ethical screening, shareholder activism and social investment. Brown is married to television journalist Tricia MacDonald. The father of 3 children, he and his family reside in Ottawa. 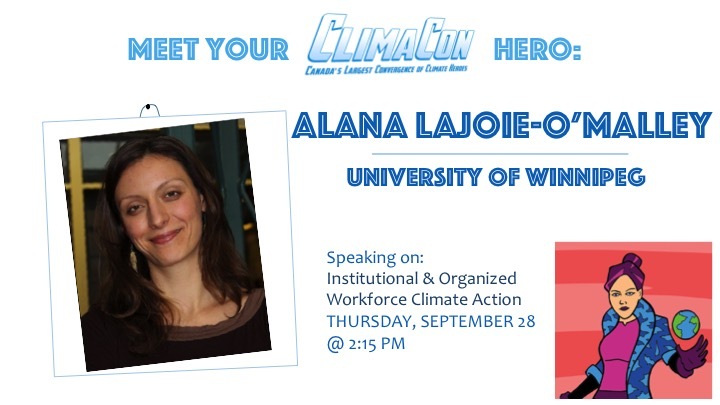 Alana Lajoie-O’Malley is Senior Advisor, Research & Sustainability at The University of Winnipeg. Prior to that, she was the Director of the University’s Campus Sustainability Office. When she was a student at UWinnipeg, she co-founded and was a significant driver of the student group that mobilized students to call for greater sustainability and climate action on their campus. She has led the development of two institutional sustainability strategies at UWinnipeg, developed initiatives related to experiential and transformative learning, and coordinated efforts that resulted in a 32% reduction in absolute GHG emissions compared to 1990 despite a 38% increase in occupied space over this same period. The University is now working towards achieving a 50% reduction in absolute emissions by 2020 and zero emissions by 2035. Alana has served on the Board of the Manitoba Eco-Network twice and has supported or co-founded other grassroots organizations working on climate issues in Manitoba. She holds both a BA (Politics & History) and a BSc (Physics) from The University of Winnipeg. She also holds an MPhil in Modern South Asian Studies from the University of Oxford, where she studied as a Rhodes Scholar. Sharmeen Shahidullah is the Program Manager at the Foundation for Environmental Stewardship (FES). A youth-led, youth-serving sustainable development organization, Sharmeen is hoping to successfully fulfill the mission of FES’s 3% Project: Engaging and educating one million youth in 700 Canadian high schools – that’s about 3% of Canada - on climate change and renewable energy and providing them the opportunities to exercise the muscle of sustainability problem-solving skills. Prior to FES, Sharmeen has a mix of cross-sector experiences ranging from start-up organizations to not-for-profits and corporations. Most recently, Sharmeen was at TD Bank Group as the Corporate Social Responsibility Analyst and helped launch the 2017 TD Responsibility Report. Sharmeen began her career at TerraCycle Canada where the idea of “Business doing good” piqued her interest. From there she went on to pursue her passion and completed an MBA with Distinction from the Schulich School of Business, specializing in Business and Sustainability. Right after her MBA, Sharmeen embarked on an internship with the UN Global Compact in New York where she was responsible for hosting the 2015 Public Sector Forum and developing a strategy for the UN Business Partnership website relaunch. She has volunteered with various organizations such as LEAF, Zooshare and Planet in Focus, and is currently the event manager for the Toronto Chapter of WISE (Women Investing in a Sustainable Economy). Sharmeen has an undergrad degree in International Bachelor of Business Administration from the Schulich School of Business. She is also certified in Social Impact Analysis and completed a GRI Certified Training course based on the G4 reporting Guidelines. Annie Bérubé is Director of Government Relations for Équiterre in Ottawa. Équiterre’s mission is to build a social movement by encouraging individuals, organizations and governments to make ecological and equitable choices, in a spirit of solidarity. Previously, Annie managed a coalition of national environmental organizations campaigning for fiscal and budgetary reform at the federal level in Canada. She also occupied the position of research manager at an environmental economics research think tank at the University of Ottawa. Annie spent over ten years as senior policy advisor at Environment Canada and Health Canada working on pesticides and toxic substances management particularly with regards to protecting the health of vulnerable populations. She has also worked as an environmental auditor in the Office of the Commissioner of the Environment and Sustainable Development, and on Parliament Hill. Annie holds a post-graduate diploma in Environmental Health from McMaster University, a Master of Environmental Studies at York University and a B.A. in economics from McGill University. 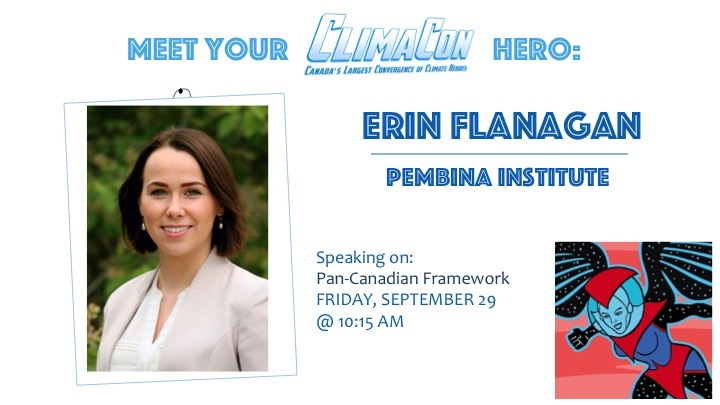 Erin Flanagan is the director of the Pembina Institute's federal policy program. She researches and advocates for policies that reduce the environmental impacts of fossil fuel and related infrastructure projects, and that support Canada's transition to clean energy. As a technical analyst at the Institute, Erin contributed to public- and private-sector projects on a range of issues in the oilsands, including greenhouse gas and water management, land-use planning, tailings treatment and reclamation. Her analysis has appeared in outlets such as the Globe and Mail, the Financial Post and the New York Times. As a frequent spokesperson for the Institute, she appears regularly on CBC, Global and CTV news and current affairs television programs. Erin holds a Bachelor of Science in chemical engineering with a minor in public policy from the University of New Brunswick. Her contributions to technical and humanitarian issues have been highlighted by organizations including the Canadian Engineering Memorial Foundation, the Association of Professional Engineers and Geoscientists of New Brunswick and the Canadian Society for Chemical Engineering. Dale Marshall is National Program Manager for Environmental Defence Canada. He has over 15 years of experience working in environmental protection, the vast majority on climate change and energy issues. Most of Dale’s work has been in policy advocacy and campaigning. However, Dale also developed VSO International’s climate change strategy, with a focus on adaptation, and spent two years in Cambodia building the capacity of local NGOs to integrate climate change impacts and adaptation into their programs. Dale has a Master’s in Resource and Environmental Management from Simon Fraser University, a B.Sc. in Environmental Science and Biology from the University of Western Ontario and a Mechanical Engineering degree from McGill University. Dale grew up in Sept-Iles, Quebec and now lives in Ottawa with his partner and two kids. As Director of Environment at the Assembly of First Nations (AFN), Tonio leads a range of environmental files – from climate change and species at risk, to fisheries and food security. He is a board member with Climate Reality Canada and is a Principle Investigator for the First Nations Food, Nutrition, and Environment Study (UofO). He also sits on several steering committees including Fish-WIKS (a Dalhousie-based research initiative focused on the intersection between Western and Indigenous knowledge systems), Indigenous Innovations (a collaboration led by Catherine Potvin at McGill aimed at supporting Indigenous climate change and sustainability initiatives), and the Pathway to Target 1 (a Parks Canada initiative seeking to protect 17% of Canada’s terrestrial landmass by 2020). Tonio has a PhD from Simon Fraser University (2008) and teaches in the Faculty of Social Sciences at the University of Ottawa. He is based in Ottawa. Caleb Behn is Eh-cho Dene and Dunne-Za from Treaty No. 8 in Northeastern BC. Caleb is the Executive Director of the ‘Keepers Of The Water’, a Senior Researcher at the Centre for International Governance Innovation and the Chair of the Knowledge Translation Working Group for the Decolonizing Water Research Collective. He is a graduate of the University of Victoria Law Program and Caleb holds a Concentration in Environmental Law and Sustainability. Caleb was the subject of the award winning documentary film "Fractured Land". His current research focuses upon unconventional energy, indigenous law and water governance. 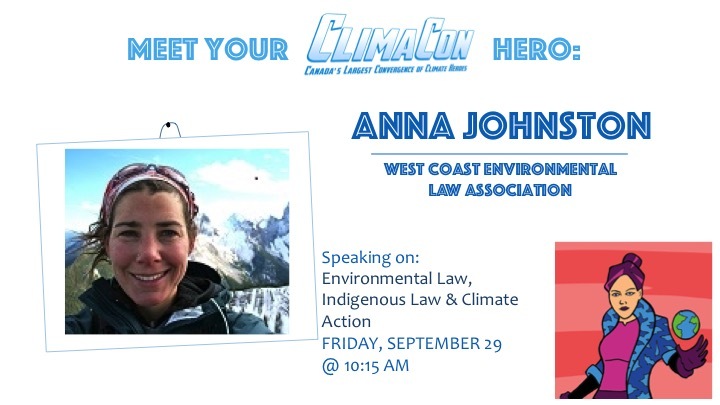 Anna Johnston is Staff Counsel at the West Coast Environmental Law Association, where she develops and advances law reform proposal and practical solutions for strengthening federal environmental law and environmental assessment processes. Anna was counsel for the Peace Valley Environment Association in the environmental assessment of Site C, is the co-Chair of the national Environmental Planning and Assessment Caucus of the Canadian Environmental Network and sits on the Minister of Environment and Climate Change’s Multi-Interest Advisory Committee appointed to assist in the review of federal environmental assessment processes. She firmly believes that rural and northern communities should not bear a disproportionate cost of resource development in BC and that meaningful public participation in land and resource management and planning results not just in better governance, but in better outcomes for all. Eugene joined West Coast Environmental Law in 2014 as part of the Aboriginal and Natural Resources Law team to work on Tar Sands, Tankers and Pipelines. He is passionate about human rights, social justice and environmental justice and strives to use the law as a tool for social change. Eugene was born and raised in Burnaby, BC and holds degrees from Dalhousie University (JD) and UBC (B.A. in Political Science). He was called to the BC Bar in 2008 and is an alumni of the NextUp leadership program. Prior to joining West Coast, Eugene worked with the BC Public Interest Advocacy Centre (BCPIAC) where he engaged in systemic test case litigation on human rights and anti-poverty cases. He also represented the interests of BC’s low and fixed-income residential ratepayers before the BC Utilities Commission (BCUC). In 2010, Eugene worked with the Legal Resources Centre in South Africa on access to education, housing, water and a healthy environment using human rights and constitutional law. 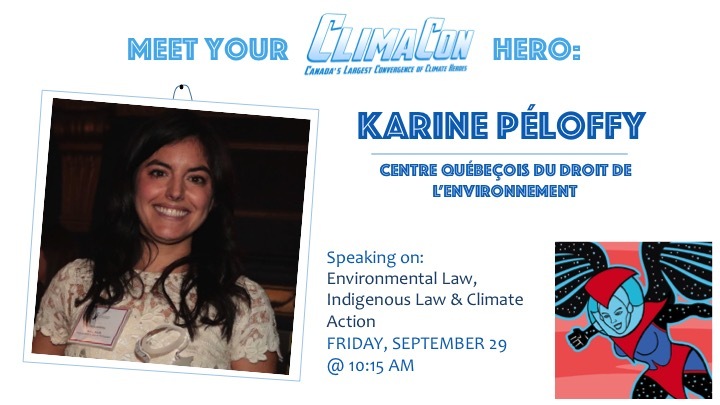 Karine Péloffy is the Managing Director of the Quebec Center for Environmental Law. She is part of the core team of lawyers who recently got a court injunction halting TransCanada Pipelines' drilling work in critical beluga habitat in the Saint Lawrence River. Karine holds an MSc in Environmental Change and Management from the University of Oxford and a BCL/LLB from McGill’s faculty of law. As a lawyer, she practiced commercial litigation in Montreal at a top tier firm and acted as a community rights lawyer for forest communities and civil society organizations in the Congo Basin countries of Africa. Passionate about communicating progressive legal initiatives to broader audiences, Karine independently produced a documentary about the legal and financial implications of climate change for energy-related investments and campaigned with the Eradicating Ecocide Global Initiative in London. She recently published and publicly presented articles on climate change litigation in the United States and Canada. She has lived, travelled and volunteered with a great variety of initiatives dedicated to social and environmental justice and sustainability in Central and North America, Africa, Europe, Australia and the Pacific. She speaks French and English and has a working knowledge of Spanish. Geneviève Puskas is a Climate Change and Energy Adviser at Équiterre. Since 2009, Geneviève has worked at Équiterre on the issues of fair trade, agriculture, and local food systems. She is now lending her inventiveness and dedication to climate campaigns. 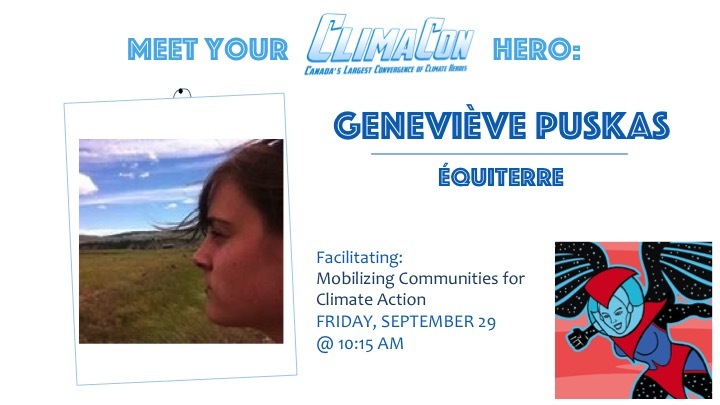 Geneviève was one of the protagonists behind the creation of the Front commun pour la transition énergétique, a coalition of over 60 groups working on stopping new fossil fuel infrastructure in Quebec. Patrick Bonin has been active in the Quebec environmental movement since 2002 and serves on several boards of directors and committees. 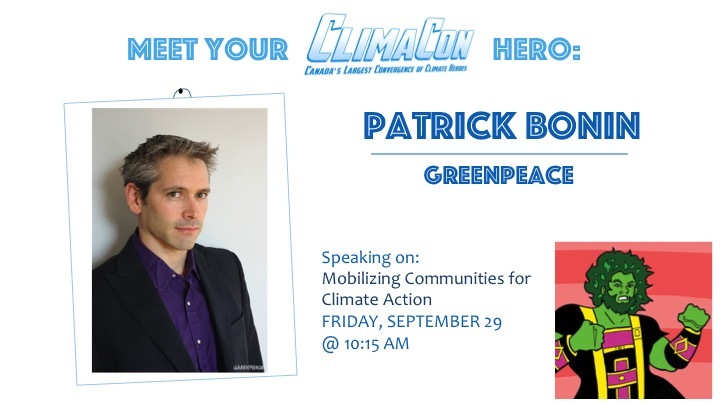 He has worked at Greenpeace Canada (Montreal) since October 2012, initially as a Climate and Energy campaigner and a half-time Arctic campaigner. After a year and a half, he became a full time Climate-Energy campaigner. 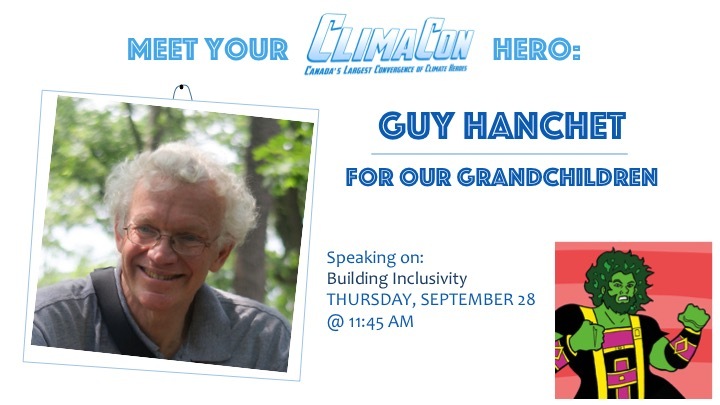 He has been on the Climate Action Network Canada board of directors since 2005. He has also been a Climate-Energy director at AQLPA (Quebec Association against atmospheric pollution (AQLPA), general manager at Projects Saint-Laurent, lead agency for Earth Day Quebec (2007, 2008) and spokesperson for the Québec-Kyoto Coalition (2005, 2006). 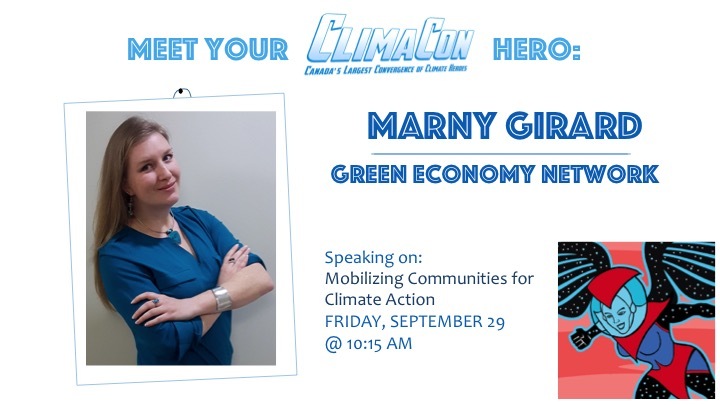 Marny Girard is an environmental researcher and policy analyst with a background in earth sciences and the interactions between technology, science, environment, and society. She is currently the Director of Research and Communications at the Green Economy Network, an organization founded by a coalition of labour unions, environmental groups, Indigenous Peoples, youth and student groups, and social justice organizations. Marny has spent over a decade working in both research and organizational capacities for environmental and social justice struggles including climate change, energy democracy, Indigenous rights, protecting the Arctic, and the global water crisis. Her current work focuses on coordinating the One Million Climate Jobs campaign, emphasizing opportunities for employment, poverty reduction, and climate change mitigation in Canada’s transition to a green economy. Marny holds a B.A. in Environmental Studies and a Graduate Certificate in Environmental Management and Assessment. Marny lives on unceded and unsurrendered Algonquin territory in Ottawa, Ontario. Brenda Kelley is was raised a farmers daughter in the Annapolis Valley in NS. She is a graduate of Nova Scotia Teacher's College owned and operated a Child Development Center in Northern NB for 18 years and for the last 19 years has been the Community Development Coordinator for a non profit environmental organization named Bathurst Sustainable Development. The organization has worked with citizens, municipalities, businesses and governments to develop and foster and engage community collaborative action, environmental education and public outreach on topics pertaining to sustainable development and climate change.